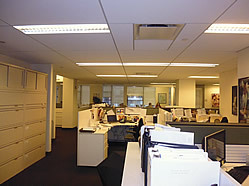 Midtown Office Rental - $60 per SF / 10622 SF. This listing is for a brand new full-floor office installation that includes; perimeter private offices and an open work area with the option for furniture and phones that can be made available upon your request. 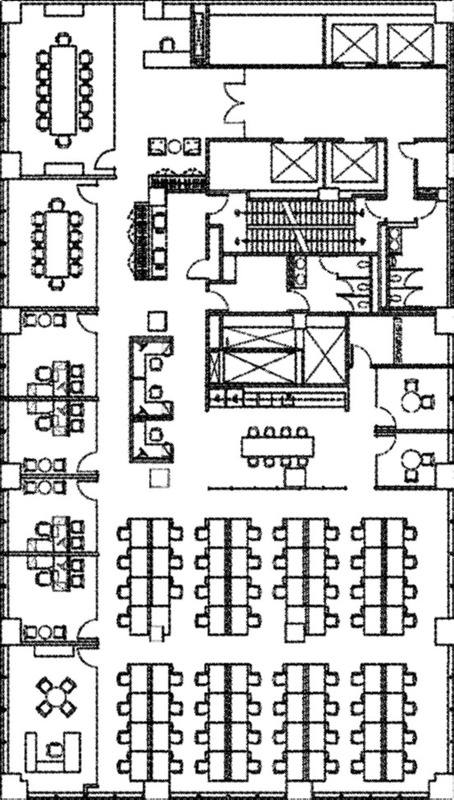 Additonally the space's layout offers conference rooms directly off of the reception area - a great perk for tenants who see many visitors but wish to keep their operations away from focus. Futhermore the space enjoys an elegant pantry and dedicated IDF room with UPS and supplemental AC. This office benefits from its high vantage on the 33rd floor thusly offering great sweeping views of the city. The building property itself has been completely renovated and enjoys a strong financial services roster.